bought her new back in 1968. 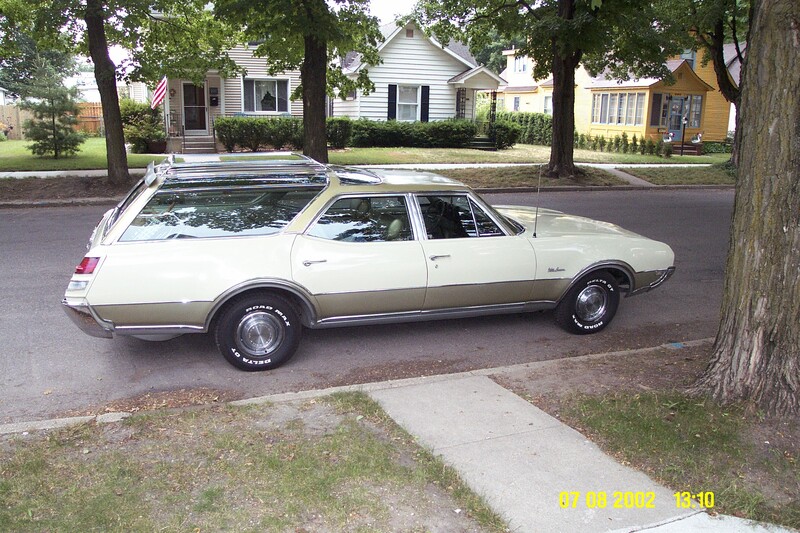 It was mostly on there horse farm to pull the horse trailer around and to shows.It was bought in upper New York state where the family has owned an Olds dealership for over forty years. The farm was in Oregon and that's why it has been kept in such great shape. It only has 33,307 original miles on her. The faux wood was taken off early in it's life and only a few hoses and the tires and battery have been replaced. 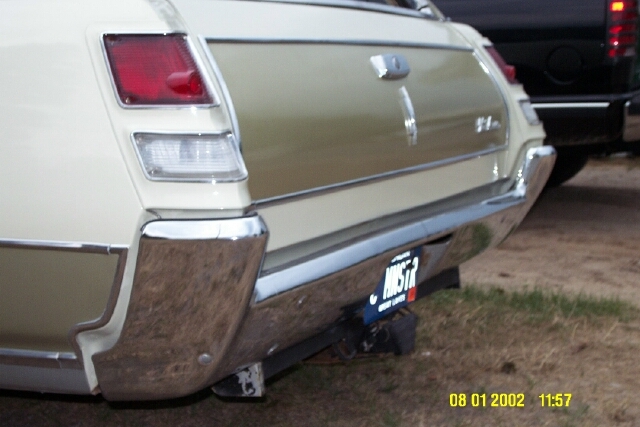 cruiser rear end. Everything is number matching, I mean everything! bench seat! Everything works except the wonderbar radio doesn't want to search anymore. Still sounds good! Even the attenna is there which very few make it this long. We drove her home last year from Albany, New York to Traverse City, Michigan a 15 hour trip and had NO problems! The kids just love her and she turns heads every where we go! She is Ivory with willow gold top and bottom and the interoir is all willow gold! Third seat has never been used it's in great shape and the mat in the trunk is still in one piece along with the felt backing!